Photo Booths are a great way for you and your guest to take silly photos to remember your big day. The best part of photo booths are all the props that can be used. Whether you want them to fit in with your theme or not, there are many different masks, hats, glasses and more you can incorporate. If you think a photo booth is something you are interested in, check out these companies in and around Newport County that can help set one up! Entertainment Specialists is the exclusive Entertainment Showcase Sponsor of the Newport Bridal Show. Along with entertainment, they offer many different photo booth options for you and your guests to create fun and many memories. They offer a new kind of photo booth called “open-air”. This photo booth allows you the option to create flip-books with the photos that are taken! 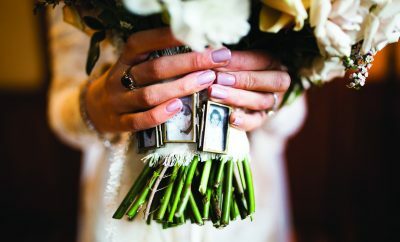 Blueflash Photography is a team of individuals who love weddings and all the people involved in them! 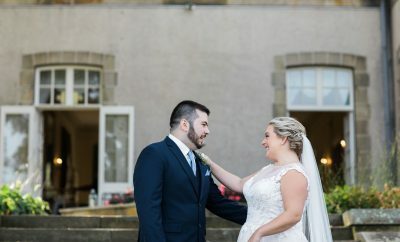 If you are looking for a team who likes to have fun and focus on making your big day as awesome as possible, then check out Blueflash Photography! Luke Renchan Entertainment offers DJ’s, photo booths and lighting options to enhance your wedding experience! Since 1983, Luke Renchan’s highly trained and professional staff ensures that you and your spouse are the stars of the performance. Everything you dream of on your big day will happen with the help of Luke Renchan Entertainment! Ra-Mu and the Crew is an all-inclusive wedding entertainment company offering photo booths and much more! DJ Ra-Mu and his staff will work with you to create a customized, one of a kind celebration with professionalism and perfection, making your wedding perfect!